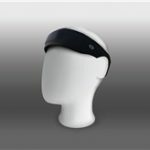 FocusBand is a wearable, motion based mind-sensing headset that measures and trains your shot routine using real time audio-visual neuro-feedback. FocusBand is the #1 motion based brain training system on the PGA Tour. Integration with FlightScope Now Available!